Twas the night before Christmas and Santa was insane, he had an evil alien parasite growing in his brain. The elves were all worried, their screams filled the night, there seemed to be no end to the terror in sight. Along came a mercenary, his twin Glocks spitting fire, the elves are all mutating, the situation is more dire. Now the deceased wives of Santa are crawling from their graves, soon the entire world the poor mercenary will have to save. 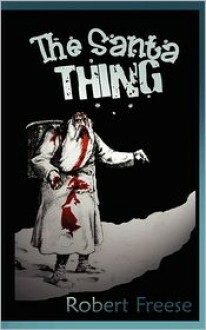 So prepare yourself for nightmares and gory scares galore, it's a twisted Christmas tale like you've never read before.